I loved the authors first three books (5* ratings for me) and when I saw this one I thought it sounded really good so got the audio. 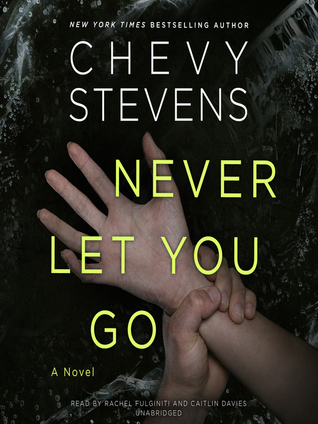 While I did enjoy the book, it just didn’t grab me like the other 3 Stevens books that I’ve read. The story was good, the characters good, the narration good, but something was lacking. It just wasn’t as white knuckle as the others. It had some suspense, but it was much tamer in this story. Still, I did enjoy it so I’d give it a 4*. Glad you enjoyed it. I wonder what it was lacking, maybe it was the narrator and the way it was read. Nope, the narrator did fine, I just think it wasn’t as intense as the other books. Oh sorry this was a little flatter than past books. I hate when a favorite disappoints. It’s doubly disappointing. This sounds like a great read though and this is an author I really need to try. It was good, just not as much scary in it as the other books I’ve read by her. I still recommend it. I need to try this author but won’t start with this book. It was good but her first books were better in my opinion.